The Adelphi Mill provides office space to business ranging in size from sole traders to multi-nationals. 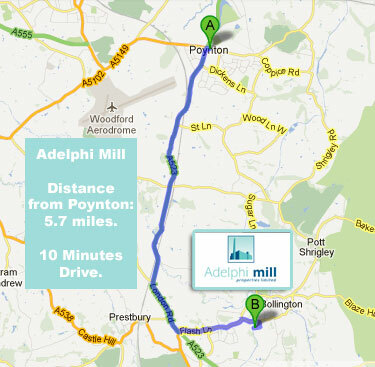 The Adelphi Mill is Located just 5.7 miles (10 minutes drive) from the centre of Poynton. This makes the Adelphi Mill Office Space, Macclesfield, a great choice for businesses looking for Poynton office space to rent or let. 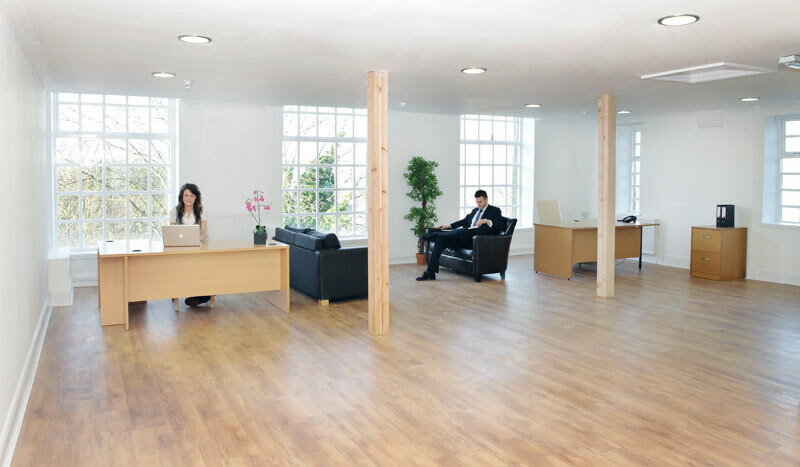 Why choose office space near Poynton? Poynton is located in the heart of the north west of England, in the county of Cheshire. Poynton is a great base for business as it offers the “best of both worlds” kind of experience. Whilst it is a thriving, busy town, home to 16,000 people and growing, the town also has a village feel to it. Poynton is surrounded by green belt land, giving office space in Poynton great views in every direction. The Adelphi Mill which is located in Bollington, just outside Poynton, has views of rolling countryside in every direction, as well as beautiful views of Macclesfield canal on one side. Poynton also boasts one large high school, one of the largest in Cheshire, along with five primary schools. Poynton also has its own fire station, leisure centre, library and railway station, which makes the town an attractive option to businesses who move their staff and their trade to office space Poynton. Office space Poynton is a superb opportunity for businesses to offer staff a great place to live and enjoy life by working in offices at the Adelphi Mill. Nature is only a stones’ throw away with Lyme Park offering its spectacular hall, woodland walks and deer whilst the cities of Manchester and Macclesfield are an easy commute to and from Poynton, attracting tourists with their big shops and city life. Office space to let is available at the Adelphi Mill, which is situated close to many other business facilities such Addlington and Titherington Golf Club for informal business meetings. Office locations on the outskirts of town give staff great views, friendly community atmosphere and the perfect location that Poynton can offer. Businesses who take up the attractive option of office space Poynton may also be interested in the local newspaper, The Poynton Post, which is given out free to all residents and may offer a great advertising opportunity to local businesses. Poynton also boasts to be a home to most areas of industry, from large shops mainly based on a main high street (Park lane) to childcare, financial services, property and more. This solid base of industry are great foundations to grow and base a business and the office space available to the south of the town are a perfect home to a growing company. The recent move to base a large majority of BBC broadcasting from London to Salford in Manchester is an indication that big business is slowly moving north. This is sure to bring more business further north, attracted by the cheaper office prices and larger office space. Basing your company at our office space to rent Poynton would be a smart, future proof move as the office space is well placed both locally and nationally and is available at competitive rates. Office space Poynton is well placed and competitively priced for your company. Renting an office near Poynton at the Adelphi Mill, offers a great way of life to the staff who take up the office space and the friendly, village feel of Poynton would be happy to welcome new residents. It’s best of both worlds outlook offers a great place to work and would be sure to increase productivity as a happy home life makes for a happy work life.